Put Your Muscle Behind Your Support for the Rule of Law, Robert Mueller & the FBI. OK, so here’s the deal, and I can’t believe that a kid who grew up distrusting J. Edgar Hoover is doing this. 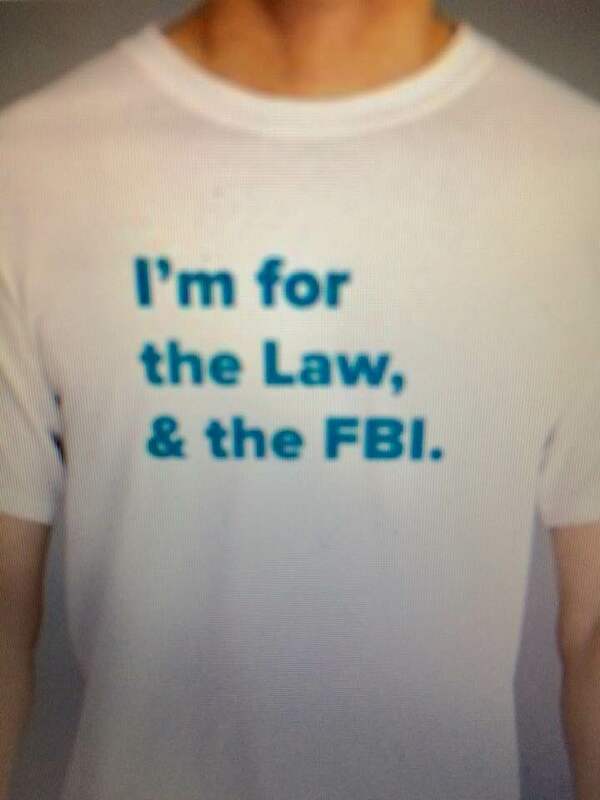 I’ve purchased a bunch of these standard Tees & had them inscribed with the phrase: “I’m for the Law, & the FBI.” I know, I know, Grammar Nerds…there should NOT be a comma after “Law,” BUT I wanted to make it clear that the LAW is above all, including the FBI and the President. With shipping, the shirts cost me about $10 each. For $20.18, I send you a shirt, and send the balance of your payment (less shipping costs to you) to the FBI Agents’ Association non-profit organizations, either the FBI Agents Association Member Assistance Fund, or the FBIAA’s Memorial College Fund. You can decide which one by going to their website at FBIAA.org. Of course, you can make a donation directly to their fund, but you don’t get the shirt. I refuse to make money on this, and am doing this because NOW IS THE TIME FOR ALL GOOD PEOPLE TO COME TO THE AID OF THE RULE OF LAW, & THE FBI. It’s time for us law-abiding Americans to flex our muscles. If you want to, just send me a private message. Total cost to you: $20.18 to show your support for the Rule of Law & the FBI in 2018. All proceeds over & above costs & shipping go to FBIAA non-profits, which help the families of FBI agents killed or injured in the line of duty—protecting our lives. Put your muscle behind the law & law enforcement in defense of our democracy. That Screeching You Hear from Trump & Friends About Mueller & the FBI: Just Another Tactic He Learned from his Mobbed-Up Pals. 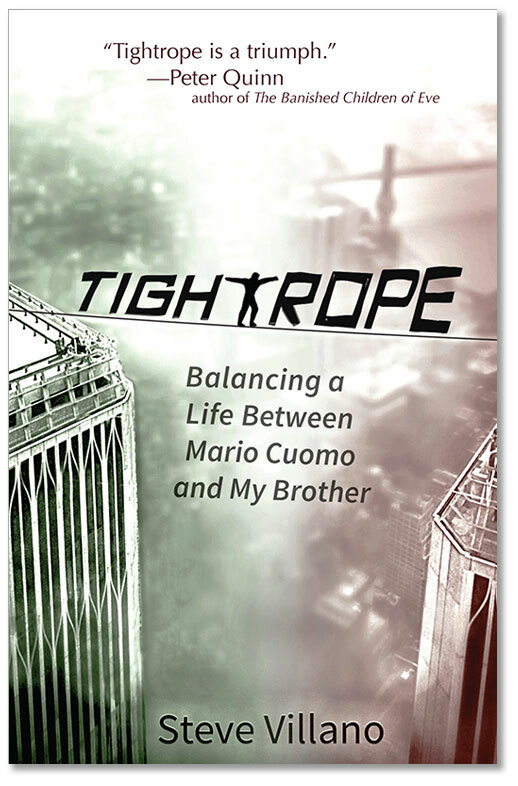 Author Steve Villano’s remarkable new book is Tightrope: Balancing A Life Between Mario Cuomo And My Brother (Heliotrope Books 2017), the true story of his life as an aide to the late New York Governor Mario M. Cuomo and the sibling of a longtime Gambino crime family associate sent to prison for tax evasion. Before all the signs and rumors that special counsel Robert Mueller’s indictments are about to start tumbling down upon Donald Trump and his associates like a ton of bricks, many of us were baffled as to how long the huge target of the criminal investigation involving the Russians could get away with his lunatic, erratic, fanatical behavior, false claims about “fake” news, and histrionic attacks on the FBI and every federal law enforcement and intelligence agency. That masquerade worked until members of Robert Mueller’s FBI investigative team induced Sammy “The Bull” Gravano—a man who murdered 19 people—to “flip” and provide evidence to convict John Gotti. After the Boss of the Gambino crime family was put away for life, Mueller’s men enticed the same Gravano to come out of the safety of witness protection and testify again; this time, he said that “The Chin” was totally lucid, and his insane behavior had all been an act. Gigante, like Gotti, was convicted on Gravano’s testimony, and sentenced to life in prison, where he died. Mueller and his crack law enforcement professionals — expert in busting up criminal enterprises— were thus responsible for ending the reign of two of the most feared mobsters in the United States. Neither the Gambino nor the Genovese crime organizations (members from both of which married into my family) were ever the same again. Trump’s ties to the Genovese, Gambino, and Scarfo mob families were of great significance to me, since my brother Michael was convicted of being a bag man for John Gotti, while I worked for Governor Mario M. Cuomo of New York. “I’ve never dealt with an industry that has more pervasive corruption than the construction industry,” James F. McNamara, director of former New York City Mayor Edward I. Koch’s Office of Construction Industry Relations told the New York Times in April 1982. “When I say corruption I’m using a very broad term. Some of it is labor racketeering. Some of it is political influence. Some of it is bid-rigging; some, extortion,” said McNamara. Many builders and developers throughout the New York metropolitan area, including the Trump Organization, considered it part of the cost of operating in the construction business, and paid whatever extra charges were exacted through organized crime’s control of the cement and drywall industries, or other aspects of the trades. In Trump: The Deals and the Downfall, Barrett wrote that Donald Trump met with Genovese crime family boss Anthony “Fat Tony” Salerno in the apartment of attorney Roy Cohn in 1983. Cohn, hired by Trump ten years earlier, when the Trump Organization was sued by the federal government for racially discriminatory practices in housing, represented Trump as well as Salerno. The meeting between Trump and the Genovese boss occurred only a year after the New York Times had detailed organized crime’s stranglehold on New York’s construction industry, denying Trump any alibi that he did not know with whom he was meeting. Salerno, along with then-Gambino crime family boss Paul Castellano, tightly controlled the city’s concrete industry through their company, S & A Concrete. Cohn’s client list— built since he moved to New York from Washington, DC in the mid-1950s, following his work as chief counsel to Senator Joseph McCarthy (R-WI) —included celebrities, the Studio 54 club, Salerno, Donald Trump and, later, John Gotti. Barrett, who died the day before Trump was inaugurated as President of the United States, documented that Cohn also represented Trump in meetings with another key New York construction industry player during the 1980’s, convicted labor racketeer John Cody, who was another former associate of my brother Michael. Barrett reported that Trump did, however, have to deal directly with John Cody’s girlfriend, Vernia Hixon, to whom Trump gave a sweetheart deal for several apartments, one floor beneath his own penthouse in Trump Tower. That’s exactly the opposite of what Trump was telling Billy Bush about how he mistreated women on the now infamous Access Hollywood tape, released the week before Michael Cody’s interview in The Daily Beast and distracting most of the media from Trump’s crime family connections — which went all the way back to his father’s business partnership with Genovese crime family capo Willie Tomasello in the 1950’s. Both Fred Trump and Tomasello were hauled before a Senate committee and questioned about misuse of federal housing funds. “My father walked all over Trump.” Michael Cody told The Daily Beast. “Anytime Trump didn’t do what he was told, my father would shut down his job for the day. 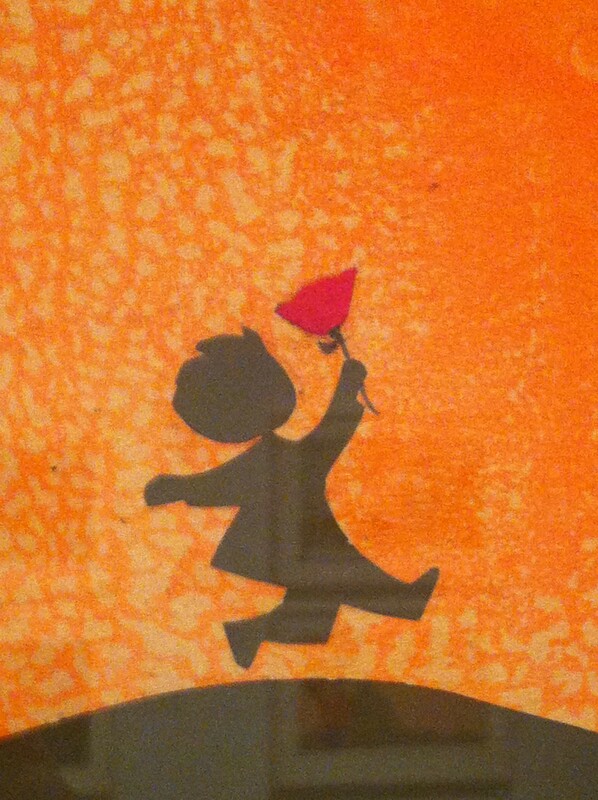 No deliveries. 400 guys sittin’ around.” To John Cody and his colleagues, Donald Trump was just another puffed-up pasty patsy, who did whatever the mob guys asked. Indicted by a Brooklyn grand jury on charges of racketeering, extortion, and tax evasion, John Cody was sentenced to five years in prison at the end of 1982. His sentencing judge, Jacob Mishler, was the same federal judge who would sentence my brother Michael to federal prison six years after Cody’s conviction. With Cody’s ability to wield such vast economic power and choke off Trump’s flow of cash, there was little wonder that Donald Trump asked Roy Cohn to meet with Cody to keep him happy. They were in business with these guys. They had buildings to complete, and fortunes to make. Cooperating with the FBI or federal and state law enforcement officials to clean up the construction trades industry was not in Donald Trump’s self-interest. Making money was. “There are no heroes in this industry in terms of helping law enforcement officers,” Jim McNamara told the Times. Many observers believe that Trump, although he holds the nation’s highest elected office, behaves the same way today toward the Russian mob and its international criminal empire. See no evil, speak no evil—especially if your business is dependent upon the mobsters under investigation. Trump was, and still is, a punk-wannabe among punks: an amoral actor doing business with amoral peers. As John Cody’s son observed, and my brother’s friends demonstrated, they had zero respect for Trump. They knew they could squeeze him for as much as they wanted, since all that mattered to Trump was money. That’s a language understood very well by organized crime—whatever dialect is spoken by the Gambino, Genovese, Scarfo or Russian criminal enterprises. It’s also a way of life that Robert Mueller has developed great expertise—and extraordinary results—in holding accountable to the law. Steve Villano is a journalist, film producer, educator, and consultant who worked as a speechwriter for New York Gov. Mario M. Cuomo and headed his New York City press office. He now lives in northern California. I heard the first news reports about the massacre of 20 first graders–babies, really–at Sandy Hook Elementary School in Newtown, Connecticut, after I just walked out of court in Marin County, California. I had just secured a restraining order from a judge to prevent a mentally deranged individual, who bragged he had a gun, from coming onto the campus of the Institute of Noetic Sciences (IONS) which I was running at the time. He had threatened several of my staff members, and starting ranting to the judge that the CIA was after him. The judge asked me if I had anything further to add, and I rolled my eyes and said “No, your honor. I think my case has been made.” The Judge immediately granted the restraining order. If only swift, stern legal action was taken against the deranged young man who slaughtered 20 innocent babies–26 people in total–that terrible December 14, 2012. Things have only gotten worse since then, with the election of a tool of the NRA as President, the greater proliferation of assault weapons which can assassinate hundreds in a mere few minutes, the passage of a piece of legislation in the GOP controlled House of Representative which would allow mentally unstable gun owners to conceal the carrying of weapons in every state in the nation–despite any local gun laws–and, the perpetuation of the grotesque lie advanced by Alex Jones and other Fascist fanatics, that those murdered at Sandy Hook were paid actors. Tell that to a parent who lost a beautiful baby 5-years ago. I was with with my three granddaughters–ages 8, 6 and 2–on the 5th Anniversary of that horrible moment in all of our lives. I’ve hugged them and kissed them even more than I usually do, imagining the unimaginable, and grateful for every blessed moment I have with them. I only wish the same for every single parent and grandparent, aunt and uncle, who cherish life and the right of those already born to live it without violence or harm.